Bangladeshi actress Ratna is most popular for her acting. She is living Dhaka now. She loves acting. He looks very attractive. Her ambition is to be a film actress from her early life. People choose her very much. 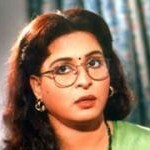 Her film industry name is Ratna. She is well known film star of Bangladesh. She is acting Television dramas and Tele Films. Most of the people of our country like her films. She wants to perform lots of films. 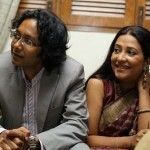 She is acting Antare which is most popular film in Bangladesh. Her film is commercially successful. She also dances in various films. She had acted more than 12 movies. In recent, she acted Sontan Amar Ohonkar films with Sakib Khan. hi,ratna I am hosssain.I want friendship with you. so what will Ratna do for you?